On Friday, March 1 a selection of sport and recreation community leaders from around the region attended the Recreation Aoetearoa Big Day Out hosted by Sport Whanganui and the Whanganui District Council. The interactive session was a huge success with an objective to share experiences and challenges in recent sport and recreation accomplishments. On behalf of the sport and recreation community Sport Whanganui’s General Manager Adam Gosney and Whanganui District Council’s Sport and Recreation Advisor Keith Smith put together a stimulating agenda for the day encompassing a group of presenters championing various sport and recreation successes across the Whanganui region. Whanganui District Council’s General Manager Leighton Toy initiated the day with an engaging presentation on the recent Masters Games event. Emphasis was put on naming rights sponsor Downer, the economic impact the games brought to Whanganui, connectivity between the Masters Games headquarters and the community and the value of the volunteers who were the life of the games. Leighton also briefly touched on the Velodrome outlining the next steps to which includes engagement of a consultancy firm to compete a quality needs assessment. The Mountains to Sea suspension bridge was another key achievement co presented by Sport Whanganui’s Community Sport Advisor Jimmy Hildreth and Whanganui District Council’s Park Advisor Rick Grobecker. Discussion points included the funding process, community engagement, NZ Cycle Way scheme and the infrastructure challenges endured throughout the journey. Whanganui District Council’s Parks Manager, Wendy Bainbridge spoke on the popular swimming spot Mosquito Point and the return of the legendary swing after an absence of two years. Wendy guided the audience through the public engagement process calling for the return of the swing and the new and improved structure and safety requirements. Sport Whanganui’s General Manager Adam Gosney led an extensive presentation on the Manawatu – Whanganui regional Facility Plan. Emphasis was put on the power of collaboration from central and local government, sport, funding, education and health sectors to develop the plan. “It was a great opportunity to have an interactive session with some of the sport and recreation leaders from across the central north island, the journey and complexity in establishing the facilities plan directly aligned with the theme of the day”, says Adam Sport Whanganui’s General Manager. The recently built Community Sports House at Springvale Park was another great venture led by Sport Whanganui to which Adam Gosney also spoke to. The development is the number one recommendation of the Manawatu-Whanganui Regional Sport Facility Plan with the intention of creating a “home of sport” resulting in long term benefits as well as immediate opportunities for the community. Sport Whanganui’s Community Sport Manager Jodie Brunger spoke on the recently complete Community Bike Park recognizing key contributors, endorsing the power of working together to create and achieve locally owned visions and goals. Community consultation was another important driver in the completion of the park intensively discussed. Norman Greubsch from Whanganui District Council’s Infrastructure Group presented on the success and bright future of the Te Tuiaiwi Cycle Corridor development. This venture has been fantastic for Whanganui with six more cycle corridor prospects approved to be completed. Currently Whanganui has 12 kilometers of urban cycle way with further expansion to come – watch this space. Overall the Recreation Aoetearoa Big Day Out was a great success capturing the vibrant and ever developing sport and recreation projects across the region. Sport Whanganui and the Whanganui District Council would like to thank everyone who contributed towards the success of the day. To find out more about Recreation Aoetearoa visit www. www.nzrecreation.org.nz. Introducing our Youth Empowering Sports Squad for 2019! 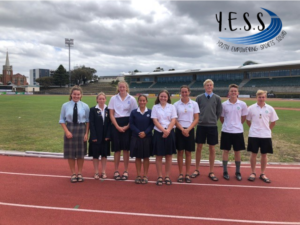 These students are a link between the student body and ‘Sport in Whanganui’ creating a formal platform for student voice to be heard and influence decisions related to secondary school sport. We are looking forward to working with these student leaders who are really enthusiastic and keen to make a difference! ** Some students missing from the photo. Sport Whanganui is delighted to announce that the development of the Community Sports House at Springvale Park is near completion. Prior to the new build, Sport Whanganui purchased two ex Whanganui Masters Games buildings which are now part of the site. The construction commenced in September 2018 and is due for occupancy in late March 2019. Shane Stone Builders have led the contract and Sport Whanganui is extremely pleased with the result, Sport Whanganui CEO Danny Jonas says, “It has been a pleasure to work with Jack and the team at Shane Stone Builders, the developments have been timely and to a high standard and they have kept us informed on the progress throughout the life of the project”. The Community Sports House is intended to create a hub for community sport and recreation. Shared services will include IT support, access to health and safety and event management expertise, professional sport and health sector knowledge, reception services, vibrant interaction and collaboration of people and strong connection to Sport NZ through Sport Whanganui. Site suitability was extensively discussed, ultimately factors inclusive of; proximity to the catchment area and potential user groups, social impact – opportunities for integration with community and commercial facilities, visibility of site, accessibility for pedestrians, cyclists, motor vehicles and public transport, zoning regulations and local authority planning rules and restrictions. An absolute priority is the sports house being accessible and inclusive. Sport Whanganui’s CEO Danny Jonas states that “The Sports House will initially be home to the Sport Whanganui team and a number of sport organisations with access to sport and health expertise and relative services including hot desks, meeting rooms and video conference facilities”. The Mitre 10 Mega Wanganui Future Champions Trust funding round is now open and will close on the 31st of March. The Trust has the goal to provide financial support to talented young sports people who have the ability to compete at the very highest level in their chosen sport, but may need extra support to achieve their goals. The Trust is encouraging promising athletes who are in need of financial support to consider applying, with the aim to give our talented sporting youth a “hand up” to reach their full potential at an international level in their chosen sport. The Mitre 10 Mega Future Champions Trust has been operating for five years and has granted close to $50,000 to 52 individual athletes assisting them in reaching and achieving at internationally acclaimed events. The Trust encourages athletes interested in applying to visit the website www.futurechampionstrust.org to assess the criteria for the fund, and to access an application form. Genna Maples — Athletics, selected to represent New Zealand in the Australian All Schools Athletics Championship held in Cairns, Australia in December 2018. Tayla Brunger — Athletics, selected to represent New Zealand at the Australian All Schools Athletics Championship held in Cairns in December and selected to represent NZ in the Athletics NZ High Performance Relay Squad. Georgia Bryant —Triathlon, selected to represent New Zealand in the Under 19 age group Triathlon Team at the ITU World Triathlon Champs in the Gold Coast, Australia in September 2018. Jordan Cohen — Hockey, selected to attend the U18 NZ Hockey camp in New Plymouth in December 2018. Tara Raj — Golf, selected to compete in the national age group and women’s tournaments within New Zealand and Australia throughout 2018. All levels of support are appreciated and interested businesses are encouraged to contact The Trust through its website www.futurechampionstrust.org, or phone Philippa Baker-Hogan on 027 272 795. 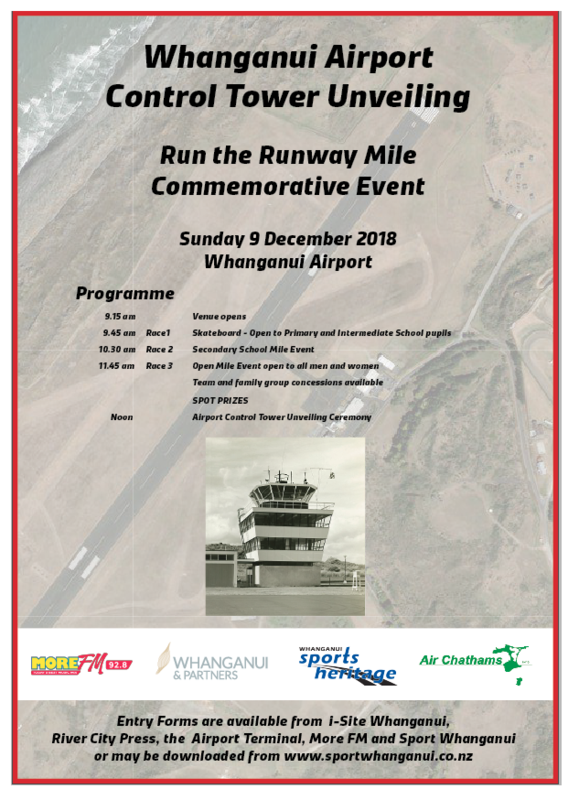 The Run the Runway mile will be held on Sunday 9 December at the Whanganui Airport! Late Entries will be accepted up until 15 minutes before the scheduled start of each race. NO LATE ENTRY FEE WILL BE PAYABLE. You can now purchase your tickets to the Ray White Whanganui Sports Awards. $60 each or $40 for nominees. Full tables of 10 will be available for purchase at $550. Tickets are limited so please ensure you purchase well before the closing date of Friday, 9 November. The Mitre 10 Mega Future Champions Trust September funding round is now open and The Trust is calling for final applications before the round closes on Sunday, 30 September. The Future Champions Trust provides financial support to talented young athletes who have the opportunity to compete at international level in their chosen sport but may need financial assistance to make this possible. The Trust has now been operating for four years and has granted $44,000 to forty individual athletes assisting them in participating in international events like Olympic and Commonwealth Games, World Cups and other major events in their chosen sport. Nathan Luff – Rowing, selected to represent New Zealand in the U21 vs Australia series held in Australia in June 2018. Jack Clifton – Kayaking, selected to compete for the CRNZ u18 team at the Asia Pacific Regatta in Australia in May 2018 and the Junior World Championship Regatta held in Bulgaria in July 2018. Liam Lace – Canoeing, selected to compete in the ICF Canoe Sprint Junior World Championships held in Bulgaria in July 2018 and the Asia Pacific Regatta held in Adelaide in May 2018. Lucas Thompson – Kayaking, selected to compete in the Asia Pacific Regatta held in Australia in May 2018. James Rountree – Motocross, selected to compete in the Australian Motocross Champs held in Australia in October 2018. Rebecca Benge – Equestrian, selected to represent New Zealand at the World Championship held in Belgium in August 2018. Sophie Brooke – Canoeing, selected to compete in the Asia Pacific regatta held in Australia in May 2018. Drew Brennan – Speed Skating, selected to represent New Zealand in the Oceania’s held in New Zealand in April 2018. All levels of support are appreciated and interested businesses and people are encouraged to contact The Trust through its website www.futurechampionstrust.org, or phone Philippa Baker-Hogan on 027 272 795 to discuss how support can be provided. Sport Whanganui is pleased to reveal that the construction at Springvale Park is the start of a Sports House for Whanganui. The new Sports House is intended to create a hub for community sport and recreation. Sport Whanganui’s CEO Danny Jonas states that “the Sports House will initially be home to the Sport Whanganui team and a number of sport organisations with access to sport and health expertise and relative services including hot desks, meeting rooms and video conference facilities”. Shared services will include IT support, access to health and safety and event management expertise, professional sport and health sector knowledge, reception services, vibrant interaction and strong connection to Sport NZ through Sport Whanganui. Sport Whanganui’s Chairman John Unsworth states “the concept of a House/Hub has been on the Board’s agenda for some years. The sale of our building and support from the great community funders NZCT, Four Regions Trust and the Lion Foundation has made it possible”. Site suitability was extensively discussed. Ultimately factors inclusive of; proximity to the catchment area and potential user groups, social impact – opportunities for integration with community and commercial facilities, visibility of site, accessibility, zoning regulations and local authority planning rules and restrictions. An absolute priority is the Sports House being accessible and inclusive. Development so far has included Sport Whanganui purchasing the buildings currently on site that were once the home of the Whanganui Masters Games. These buildings will be part of the final Sports House development. Leighton Toy Whanganui District Council Property Manager says, “Council is on board as we see the long term benefits and immediate opportunities the Sports House delivers”. Shane Stone Builders is the lead contractor of the $1 million plus build which is expected to be completed by the end of February 2019. Sport Whanganui will continue to keep the community updated with progress on the build and look forward to the opportunities and collaboration it will bring to the Whanganui region in the future. The recycled sports gear campaign REPLAY has launched in the Whanganui region and is off to a great start! REPLAY is a community initiative created in 2017 by Denise Mclean, a full time Mum and sports enthusiast from Palmerston North. Upon having a clean out at home Denise realised that rather than hanging on to the gear, she would pass it on to other local kids and families who may not have access to sports equipment of their own, “I had a garage full of sports gear and I was sure there were children out there that could put it to better use” says Denise, founder of REPLAY. The purpose of REPLAY is to gather new and used sports gear to distribute to local kids in our community, especially those who are unable to access or purchase their own. Just one ball allows several kids to play and have fun together, learn new skills and develop a lifelong love of being active. For many kids having the available sports gear results in greater participation and enjoyment of sport. REPLAY is supporting these children allowing them to use equipment not only at school but at home, in the weekends and during the school holidays. REPLAY are always looking for new locations to place bins and would love your support, together we can connect sports gear with local kids – and recycling is great for our environment too! If you are interested in becoming a part of this fantastic community initiative or you would like to receive sports gear then visit the REPLAY website at www.replay.org.nz or you can contact Jodie Brunger, Community Sport Manager at Sport Whanganui on jodie@sportwhanganui.co.nz. The Manawatu Jets are coming to Whanganui! The Manawatu Jets Basketball team are making an appearance in Whanganui, playing three competition games at Springvale Stadium as part of the exciting and action-packed National Basketball League series. The Jets franchise have been working with Sport Whanganui, the Whanganui District Council and Whanganui and Partners to organise and promote the three games with the hope that the community will get behind them and support the team. The first game is Thursday, June 21 where the Jets will take on the Nelson Giants. Not long after the showdown against the Giants, The Jets will face the Canterbury Rams on Saturday, June 30 followed by the 2017 champions – Wellington Saints on Saturday, July 7. Each game will be held at Springvale Stadium in Whanganui at 7.00pm. The Jets are excited about holding these games in Whanganui and hope they can make the games annual events in the Whanganui sporting calendar. Having a team playing at NBL level in Whanganui is a great opportunity for young players to watch and the Jets and will ignite the passion and motivation for them to progress in their own game. The Jets are encouraging fans to get behind them and support the up and coming talent. Tickets are on sale now from Sport Whanganui or the I-Site information centre, kids tickets are $5 and adults are $10, alternatively, adults can purchase tickets for all three games for $25.00. On the night there will be the opportunity to buy tickets at the gate. For more information please contact Ross Cronshaw on ross@sportwhanganui.co.nz or 06 349 2320. Sport Whanganui is organising a Coaching Symposium workshop on Sunday 20th of May at Whanganui Girls College. This symposium is a great opportunity for teachers, volunteers and coaches in our community who would like to develop and learn new skills. Sport Whanganui encourage all clubs and schools to encourage their coaches to this workshop as it is a great opportunity to learn about important topics that are crucial to being a coach including nutrition, warming up, strapping and general coaching approaches. Presenting on the day are specialists from around the Whanganui region with an array of experience and knowledge on the mentioned topics. Presenters include Pedro Figueira current coach at Aramoho Wanganui Rowing club who has previously been Chief Coach at London Rowing Club, Oxford University Lightweight Rowing Club and University of Coimbra, Portugal. The outcome of the day is to ensure that coaches, especially new coaches have the confidence to ensure they feel comfortable to coach a team or individual. Not only will attendees learn these useful coaching approaches there will also be an opportunity to meet other coaches and make valuable connections with people in our sporting community. Being a coach can be daunting and Sport Whanganui would like to support the coaches in our region to ensure that there is support and help available, as well giving ideas on how to keep it fun for them and their teams. 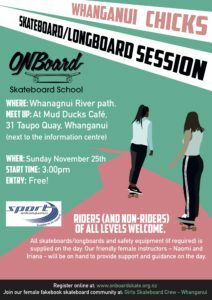 Sport Whanganui encourage people to come for the whole day, but if there is something specific you feel would benefit you then you can select which sessions you would like to attend. Clubs and schools are welcome to send as many coaches as they want for only $25.00 with no limit on attendees. For more information or to register please go to our website www.sportwhanganui.co.nz RSVP 16 May or contact Jimmy Hildreth on jimmy@sportwhanganui.co.nz. The Marton Foodbank were presented with the funds raised from entry fees, as well as a generous amount of food cleaning and health products. 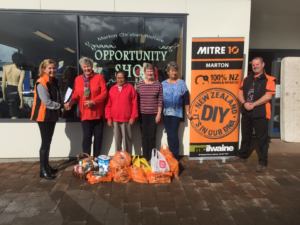 The donations were kindly received by the chosen charity, “We are delighted to be the named charity for this local event, it is great to have Mitre 10 Marton achieving a common goal to support the community and we are most thankful for the kind donations” says Sarah Vickers. The Marton Christian Welfare has been operating for 42 years with 35 passionate volunteers all willing to give up their valuable time to help the community. In 2017 the Marton Christian Welfare supported approximately 80 families over the festive holidays in Marton. The objective of the Marton Christian Welfare is to help the community by networking, collaborating and building relationships with local oragnaisations for the benefit of the Marton community. Sport Whanganui and the YMCA continue to form a strong partnership leading to positive outcomes for the community. An example of the partnership was the recent gifting of a fleet of bikes to the YMCA. Sport Whanganui used to be in the delivery space, employing a Bike Development Officer whereby a focus was upon bike safety. The fleet of bikes was crucial to support bike safety programmes based from Sport Whanganui. Recently Sport Whanganui changed their mandate and there is no longer a focus upon bike delivery. The fleet of bikes therefore needed a new home and the partnership between Sport Whanganui and the YMCA enabled the opportunity for Sport Whanganui to gift the bikes to the YMCA who have a strong focus upon delivery and bike safety. YMCA’s Operation Manager Scott Tunnicliffe is appreciative of the partnership and gift stating “The bikes have already seen a huge amount of use locally and at Camp Raukawa. Being next-door to the pump track and learn to ride course has meant users have a safe environment to develop their bike skills.” Both Sport Whanganui and the YMCA would like to thank The Four Regions Trust for providing the funding to purchase the bikes. Sport Whanganui’s General Manager Adam Gosney is excited about the future partnership opportunities with the YMCA and Springvale Park, “Scott and I are in regular contact identifying and discussing ways the YMCA and Sport Whanganui can work together for the benefit of the community”. The Whanganui District Council Sport and Recreation strategy recommendation to develop Springvale Park as a regional sports hub greatly relies upon collaboration. This partnership is a fine example of community collaboration benefiting in this case young people’s bike safety. Pedal for Pleasure cycling event caters for all abilities! The Ward’s Furniture Pedal 4 Pleasure cycle event is back! The Marton Rotary event, supported by Sport Whanganui and sponsored by Wards Furniture will be held this Sunday (18th of March) in Marton. This longstanding event goes back 20 years, when the Marton Rotary started a cycle group which has since flourished into a major event on the Marton sporting calendar. Last year the event was a great success with over 100 participants cycling the beautiful Rangitikei pathways. The funds raised from the day will again be donated to Marton Rotary youth programs. The Pedal 4 Pleasure event is aimed to give people of all abilities the opportunity to participate with three distances to select from – 15km, 40km and 80km. Event organiser Marie Kinloch from Sport Whanganui encourages people of all ages and fitness levels to consider entering, “The event is an awesome opportunity for families, novice riders and competitive people to take part in a wonderful bike ride around the scenic Rangitikei”. McVerry Crawford Motors 80km Long Course: Includes Makohau, Waimutu Roads, plus Galpins, Warrens, Griffins, Jeffersons, Leedstown, and Tutaenui Roads. BJW Motors Ltd 40km ride Medium Course: This course involves the Makohou and Waimutu Roads circuit. The Downs Group 15km Ride Short Course: Family friendly, this heads around Fern Flats and Bryces Line. The sponsor of the event, Wards Furniture are very pleased to be involved. They have provided a Lazyboy Chair as the main spot prize on the day, which will be awarded after the event at the Marton Rugby Clubrooms. Check in and bib collection will be from 7.30am – 8.30am at Marton Park, Follet Street Marton on field 1 under the Mc Verry Crawford Marquee. South Makirikiri School will be onsite with delicious barbeque food that will be available for purchase on the day. To enter the event go to http://www.sporty.co.nz/pedal4pleasure for more information please contact Andrew Shand from Marton Rotary Club on 06 327 6513 or Marie Kinloch Event organiser on 027 440 9305. The Mitre 10 Mega Wanganui Future Champions Trust funding round is now open and the Trust is welcoming applications. 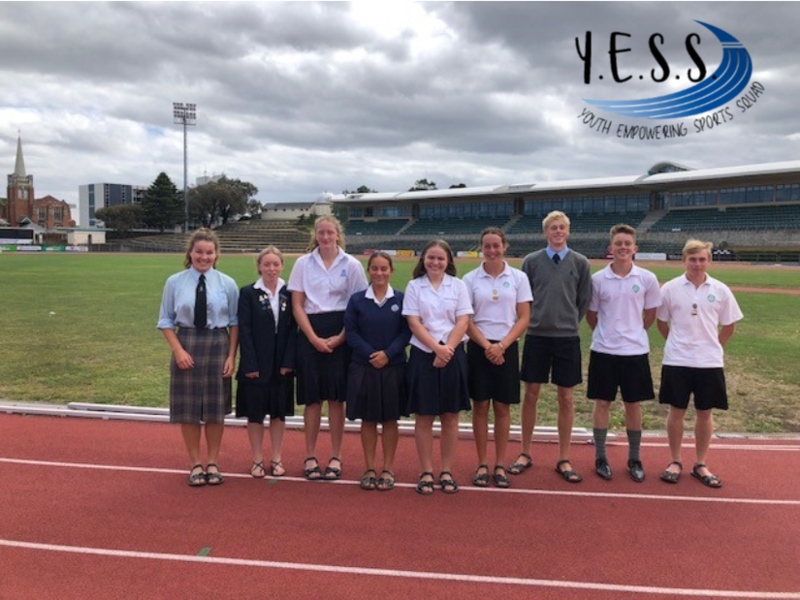 The Trust provides financial support to Wanganui’s talented young sports people who have the ability to compete at the very highest level but may need some extra to achieve their goals. The Trust is encouraging promising athletes who are in need of financial support to consider applying, with the aim to give our talented sporting youth with a “hand up” to reach their full potential at an international level in their chosen sport. The Mitre 10 Mega Future Champions Trust has now been operating for four years and has granted $37,000 to 34 individual athletes assisting them in reaching and achieving at internationally acclaimed events like Olympic and Commonwealth Games, World Cups and other major events in their chosen sport. Liam Back – Cross Country, selected to compete at the NZ Secondary Schools World Cross Country Champs being held in Paris, France in April 2018. Jordan Cohen – Hockey, identified to attend the U18 NZ Hockey Squad selection training in New Plymouth, NZ. Genna Maples – Athletics, selected as part of the NZ Secondary Schools track and Field team to compete at the Australian Athletics Nationals held in Australia in December 2017. Tara Raj – Golf, Competing in women’s Open and U19 NZ Tournaments in NZ & Australia. Fergus Smith – Golf, selected to attend the University in Iowa, USA to assist with and enhance his Golfing career. 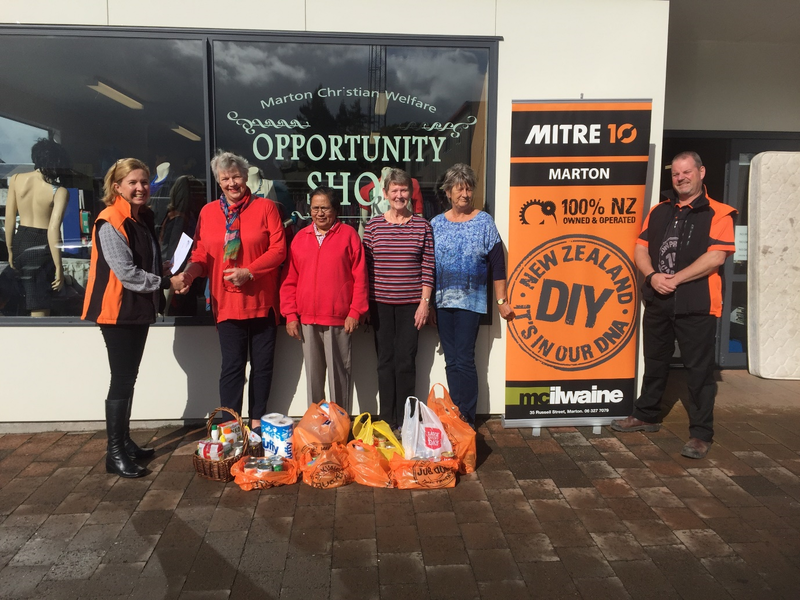 The Mitre 10 Marton Triathlon organising committee are delighted to announce that all entry fees for this year’s event will be kindly donated to the Marton Christian Welfare to support the local Marton Foodbank. The Marton Christian Welfare has been operating for 42 years, with major support from church communities and the Mayor. The organisation has over 50 passionate volunteers all willing to give up their valuable time to help the community and have done so for many years. In 2017 the Marton Food bank supported approximately 80 families over the festive holidays in Marton. Sarah Vickers, who has been involved in the organisation most of her adult life says, “It is great to be involved in the Mitre 10 Marton Triathlon and help the Marton community to utilize local facilities such as the Marton swim center and Rangitikei college”. The outcome of the Marton Foodbank is to help the community by networking, collaborating and building relationships with local oragnaisations for the benefit of the Marton community. Event organisers would like to encourage all participants to donate a can of food, cleaning orhealth products to go towards a hamper which will also be donated to the Marton Food bank. Registrations for the event are now open, to register go to http://www.sporty.co.nz/mitre10martontriathlon/Entries-1/Enter-online. The event caters for all ages and skill levels offering a short and medium course, registrations close on the 4th of March. The date is set and registrations are open for the second Mitre 10 Marton Triathlon at Rangitikei College on the 11th of March. This year Mitre 10 and Sport Whanganui are delighted to introduce the new Business House team event, giving local businesses the opportunity to put together a team and be involved in a fun corporate challenge. Organisers are calling out to all local businesses to enter a team into this exciting new category. It is a great chance to get colleagues together and challenge other businesses and friends outside of the normal team building activities. To enter businesses must put together a team of 3 and will participate in the medium course consisting of a 200 meter swim, 12km bike and a 4km run. A trophy will be given to the winning Local Business team on the day. If your business is interested in entering a team please go to www.sporty.co.nz/mitre10martontriathlon/Entries-1/Enter-online. The cost to enter is $10 per team and registrations close on the 4th of March. The event caters for all ages and skill levels, for those wanting to enter as individuals the event will again offer a short and medium course option to choose from.